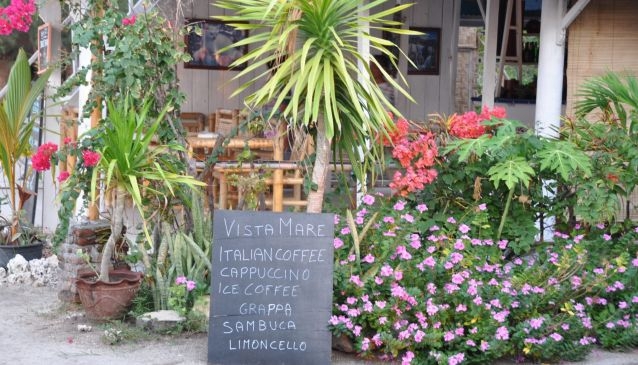 Home-cooked Italian meals may not be something you'd usually seek out on an island in the Pacific Ocean, but a visit to Vista Mare while on Gili Air is a must. A beautiful and quiet location with uninterrupted beach views, it is the perfect location for sunset cocktails. This little restaurant is run by an Italian couple and tucked away from the main restaurant strip. Despite the remote island location and the challenges this brings obtaining fresh ingredients, Vista Mare continue to serve up simple yet delicious homemade pasta and sauces including bolognese, arrabiata, srozzapreti, tagliatelle and gnocchi, served up with fresh seafood. Authentic pizzas, special desserts and best coffee for miles will have you coming back at least once during your stay. Rather than a menu put together for 'tourists', this food comes from the heart and with plenty of attentive and charming service from both the owners and their staff.